My new book is on Amazon now. The Kindle version will be free August 1 – 5. This one isn’t fiction. 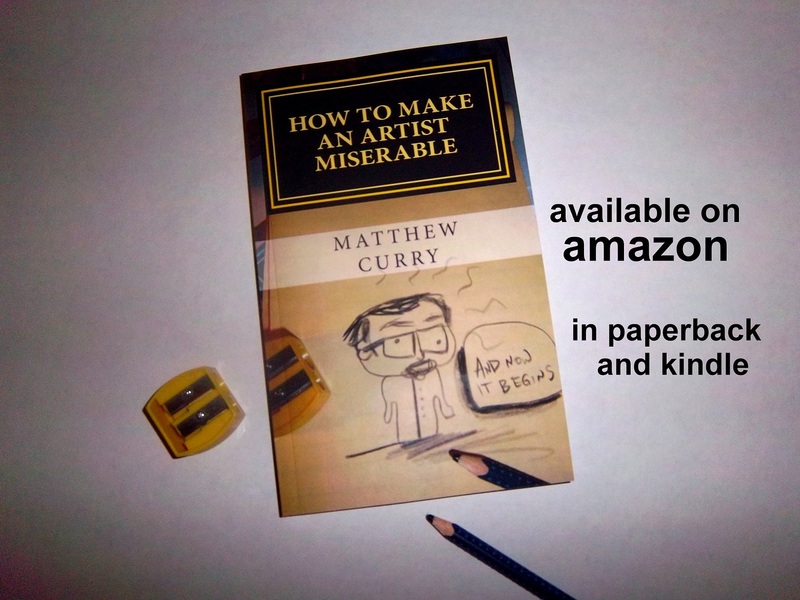 How to Make an Artist Miserable is a journal/essay/tirade about some of my frustrations as an artist — and how I’ve learned to overcome them. Like people assuming I work on a “for hire” basis and requesting giant portraits of their children, for example. Over the last few years, I’ve actually found a way to deal with those people. I no longer draw pictures I don’t want to draw. It’s very liberating.